Are you going to do juice fasting for weight loss? Great! I did this some four years ago and achieved life changing results. I’m here to walk you through your first juice fast and I’m sure you’ll get amazing results as well. But promise yourself one thing – ‘do it’ instead of ‘read only’. As ‘action’ is the only way you’ll get results. You can expect an average of losing one pound per day. People with fast metabolism may lose weight quicker, however they may experience more discomfort at the beginning. If you have no previous fasting experience and if you have fast metabolism and if you are determined to do fasting for weight loss, I strongly encourage your kicking start with a juice fast and try water fast as a next step. Juice fast is relatively an easier exercise than water fast, many people including myself, can start out with a longer period, such as three to seven days, even without prior fasting experience. Your body, especially your digestive system would certainly love it. 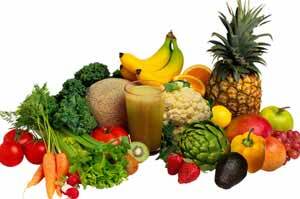 Raw juices contain natural medicines, vegetal hormones, antibiotics and yet low in calories. As juices require minimal digestion, your digestive system gets a physiological rest, allowing the colon to shed old compacted and putrefied material that was waiting there to cause future disease. I have personally experienced the dramatic improvement over my indigestion problem out of a 6-day juice fast, enjoying bloating relief, not to mention the steady weight loss and detoxification benefits. In fact, fasting will benefit almost any kind of problems related to the digestive system. Juicing is safe because you do not have to embark in any grueling exercise regimes, or take any type of medication to receive the weight loss and detoxification benefits. Apart from losing weight, cleansing and detoxing, the health benefits of a juice fast also include spiritual awareness and relaxation of your body and mind. Many people feel a sense of pain relieving and develop a positive attitude towards the present. Even you are new to this practice, you can venture through a three to seven days period without many difficulties. If you have completely no fasting experience and are extremely conservative, try a full 24-hour fasting. I’ll walk you through the steps below. Try it out once and the success will increase your confidence to continue. In my case, I have rebuilt my eating habit after the initial 6-day juice fast and developed an average of 24-hour fasting window since then. As juice fast generally lasts 3-7 days, it is likely that you have to work through these days. Choose days associated with holidays or long weekends and clear your calendar from social/business meals, and of course without travel so that it would be easier for you to organize your fruits and veggies. Many recommend 32-64 ounces of juice per day plus water. Well, let’s make it simple. Drink as much as you feel comfortable, provided you won’t be drown or thirst. The big plan is to replace your lunch and dinner with a glass of fruit or vegetable juice. Drink two glasses if you wish. Drink water for rest of the day. As you are on fasting diet, please count on cool distilled water, spring or filtered are both fine. Organic fruits and vegetables are ideal. Freshly made juices are preferred. If unavailable, juices bought from health food stores or juice bars as fresh as possible are acceptable. A combination of fruits and vegetables is recommended. Green vegetables and sprouts contain the pigment chlorophyll are especially beneficial during a juice fast. Rotation of fruits and vegetables by color will refresh your taste buds as well as ensuring various kinds of vitamins. NOTE: NEVER consume canned or bottled juices from the shelf. Juice can detoxify and cleanse your body and at the same time make you feel energized and look vibrant. But what kind of juice suit you best? I strongly encourage your tailoring your juice to your current needs and the Tailored Juicing Exclusive Video will tell you how. You may get results in 7 days or less. Before your actual fast, allow some time to locate some reliable groceries or stores where you can buy fresh fruits and vegetables conveniently. If your fasting days span through your working days, you should also look for places like juice bars nearby your workplace to make sure the juices you are going to consume are as fresh as possible. If it is your first time fasting, I would suggest a 3-day fast. But it would be fine if you want to try out for a 24-hour period first. It is important to prepare yourself mentally and physically. I must say an appropriate fasting mindset is critical for your fasting success. Write down on a piece of paper your fasting goal – e.g. I am fasting for health; OR I need to lose 5 pounds by fasting; OR whatever other reasons to support your juice fast. Read it aloud. In fact, I did this when I started my first juice fast four years ago and it worked well. My slogan was ‘I am not going to suffer from bloating any more for the rest of my life’. As for physical preparation, your last meal before fasting should be just a normal meal. Never assume that you should store extra food for the fast. If you are looking to do fasting for weight loss, I’m sure your body has sufficient surplus to keep you survive through your fasting days. Begin Fasting: You can start by eating your last meal at 8PM for example, and then go on fasting through 8PM of the following evening. On the fasting day, DO NOT announce that you are fasting, as you may not get the support you need. Even worse, some people will try to demotivate you, especially those who don’t understand what fasting is. The best way to seek support is from people who have similar experiences. Create your profile and I’m here to support you as well as our fasting community. Just do it silently and it is best to limit yourself to light physical tasks and to concentrate as much as possible on introspection and spirituality. As for myself, I work as usual on my fasting days and do some simple calisthenics over lunch hour. The desire for food is more a mental need than a physical need. If you don’t see it, smell it or think of it, you’ll be fine. Breaking the fast is important. DO NOT break fast with a full-course meal to avoid stomach cramps. Allow a little time for your body to resume taking solid food. If you are on short term juice fast like 24 hours or so, just eat as usual. Make sure you won’t overeat. If you are breaking a longer juice fast, like two days or more, it would be good to break your fast with some fresh fruits. Green salad is also a good option. However be sure to use light and healthy dressing. If you intend to do fasting any period between three and seven days, you are encouraged to break fast with more care. Be sure NOT TO OVEREAT before and after. More tips about breaking a fast in sensible ways. When you do this one-day juice fast in a regular periodic manner, your body will get more and more familiar with this new eating habit, then the way you break fast will become more and more transparent, such as in my case. For most of the time, I eat dinner only and my meals are just regular meals. To me, fasting is as natural as breathing. I’m sure you’ll feel the same if you keep practicing it. Frankly, if you successfully make short term juice fast your lifestyle, you would never have to worry about getting fat again. At the same time you will enjoy an energetic life while eating what you love to eat. I’ve written this article to support one of my readers. Get more insight about A Day of Water Fasting in my everyday life. It is just similar to any of my juicing day when I replace my lunch and dinner by a glass of fresh juice. Do a one-day juicing once a week and progressively make it two and combine with a day or two of water fasts in a month, then you are on your way moving towards a full-scale intermittent fasting (IF) lifestyle. I’m sure you’ll be amazed by the tremendous health benefits that you gain from your daily little efforts. Remember, drops of water make up a river. Changing of lifestyle and eating habit cannot be done in a day, and you may stumble much - but no matter what, keep going and never give up! Periodic fasting is definitely one of the elements of a balanced and sustainable weight loss and health program. Fasting for weight loss is not a stand alone exercise, it is a lifestyle. It is an ultimate solution for losing weight and stays fit permanently. I must say fasting is one of the best things I've done for my health. Want to kick start a new and healthy life? Try juice fasting. Read my blog for more information about my juice fasting and intermittent fasting success.